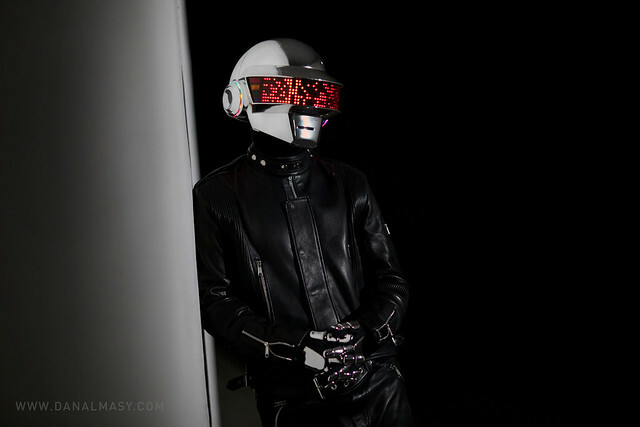 Harrison Krix of Volpin Props created an amazing replica of the Daft Punk helmet worn by Daft Punk co-founder Thomas Bangalter. 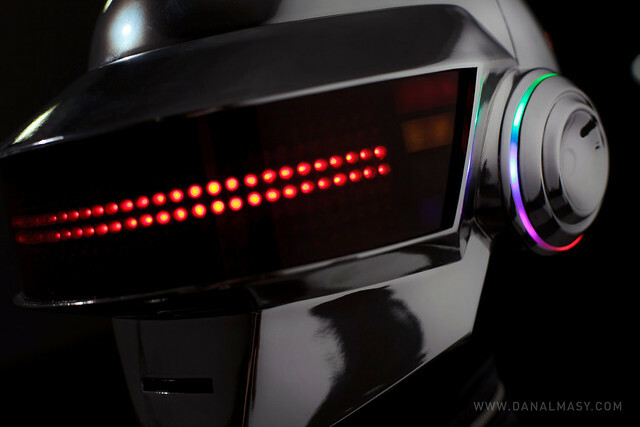 It is a follow-up to the Daft Punk helmet he made based on the one worn by Guy-Manuel de Homem-Christo. The project took 4 months to create. It includes “350 LEDs, can run over 4 hours on a single charge, and the matrix is capable of being updated on-the-fly with a custom programmed iOS app”. 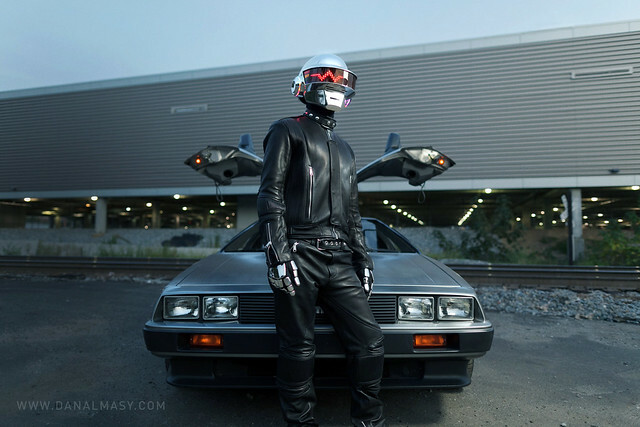 The new Daft Punk helmet was recently featured in a photoshoot with a DeLorean with costumes by God Save The Queen Fashions.